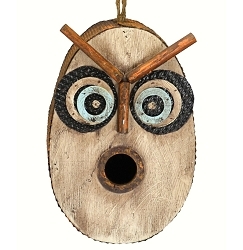 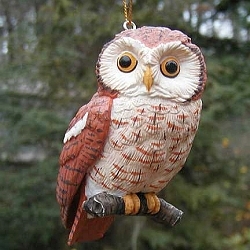 You'll be "hooting" every time you gaze up to this beautiful, handcrafted Blue Owl Birdhouse! 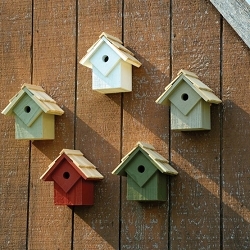 Stylish yet functional birdhouses that birds love! 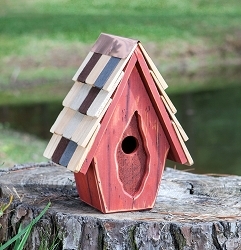 Adds charm to your backyard. 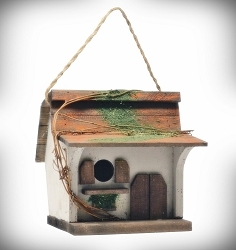 Built in hanging system, bird safe, lead-free paint, and easy clean out access. 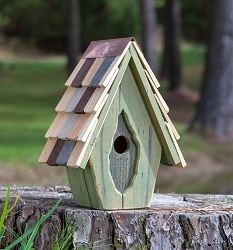 This unique birdhouse is produced with wood from eco-friendly FSC well-managed forests. 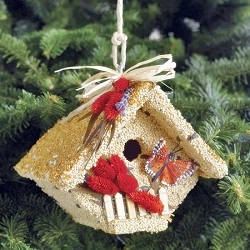 Hang it on an outdoor wall or utilize its hanging ring to create a cozy new home for the songbirds in your backyard. 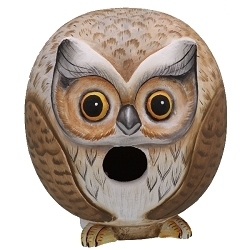 1-1/4" entrance hole perfect for small songbirds such as wrens, chickadees, titmice, and nuthatches. 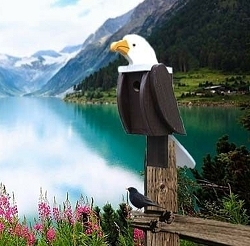 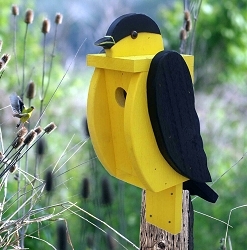 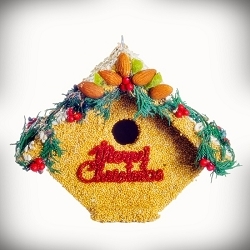 These birdhouses make wonderful gifts for backyard bird lovers. 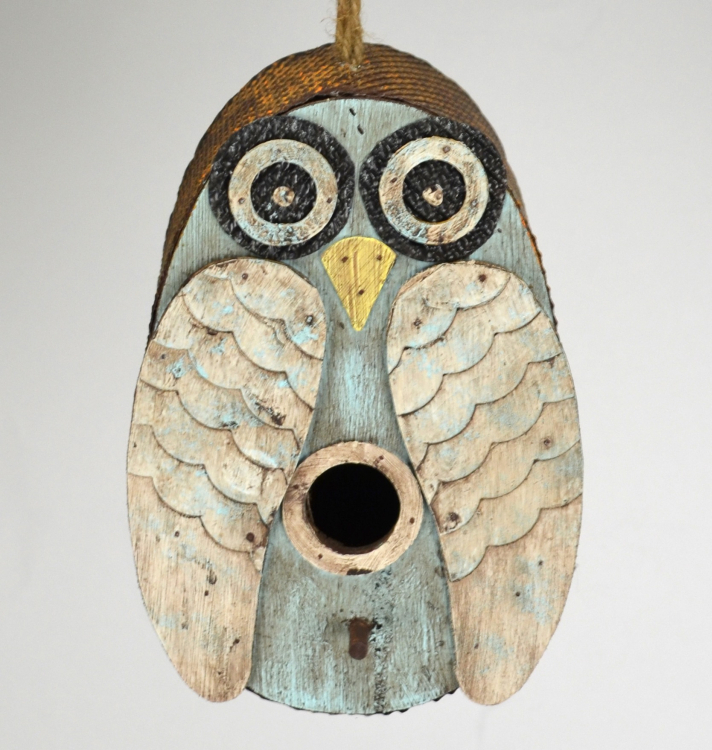 Add a touch of whimsy to your bird garden with the Blue Owl Birdhouse!